Parking garages are popular locations in which many people park their vehicles for extended amounts of time. Whether it be for work or other purposes, people depend on parking garages to keep their vehicle stored. That being said, it also remains important that people want to use your parking garage. You’ll find that having bright lighting throughout a parking garage can make this space look more inviting. However, it’s understandable to wonder which types of lights to use in order to upgrade your parking structure. Considering that, here are three benefits of having LED canopy light fixtures installed in your parking garage. Parking garage owners have their own monthly bills to worry about. One of the most costly bills relating to owning a parking garage has to do with lighting costs. Many parking garages must remain lit 24 hours a day. With that in mind, using certain types of light bulbs could mean having to pay expensive lighting bills each month. The Department of Energy recently revealed that nearly 22% of all electricity usage in the United States is used for lighting. If you’re looking for a smart way to reduce parking garage lighting costs, consider the power of the LED. In fact, statistics show that LEDs are able to use 15% of the energy that a standard bulb does while providing 85% more light output. Therefore, LED parking garage lighting is a wise choice for anyone who wants to save money related to lighting bills. Not everyone works the standard 9-5 work shift. Considering that, many people must make their way to their car while it is dark outside. With that in mind, you’ll find that LED canopy fixtures can drastically improve the lighting in a parking garage. This means that those parked inside of this structure will have an easier time getting to their respective vehicles. In addition, spaces with a lot of light help to reduce any slipping or falling accidents someone may have while trying to navigate a dark parking garage. Another important aspect to think about while owning a parking garage is how to deter thieves. Unfortunately, many thieves tend to prey on parking garages without adequate lighting. After all, this makes them harder to detect while they wait on an unknowing victim. On the other hand, parking garages that have adequate lighting tend to deter thieves as these conditions make them much easier to see. 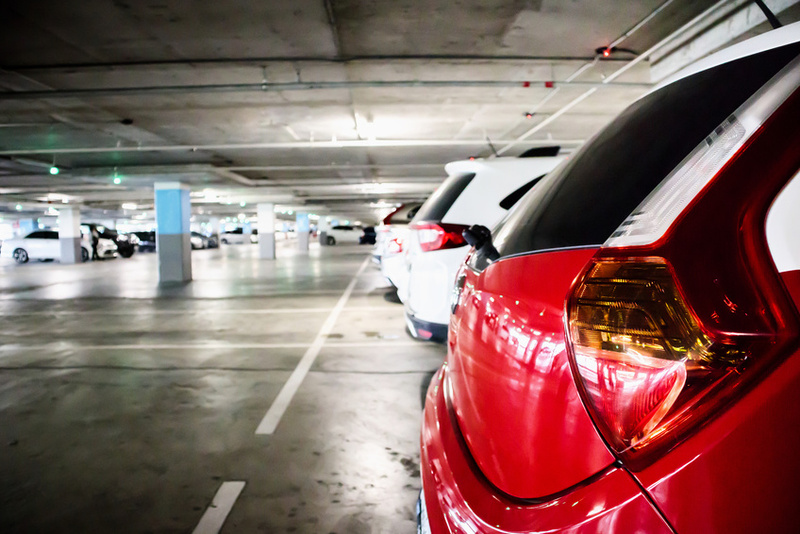 Considering that, thieves are far more likely to avoid brightly lit parking garages as opposed to those that are dark. In closing, there are several important benefits of utilizing LED canopy light fixtures for your parking garage. Statistics gathered from the US Department of Energy believe that this form of lighting has the potential to reduce energy usage throughout the United States by nearly 50%. Considering that, it’s likely that installed these types of lights will drastically help reduce your energy costs. In addition, LED canopy light fixtures can help consumers feel safer while approaching their vehicles while deterring criminals from lurking in your parking garage.